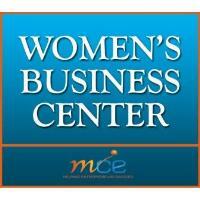 Description: Maryland Capital Enterprises Women’s Business Center is hosting their 6th Annual “Aspire to Succeed & Lead” Women in Business Conference. The day will start with a few words from Senator Mary Beth Carozza!! Our Keynote Speaker isVeronica Correa, Owner of the Personal Wellness Center. Next will be a Q & A session with a women’s entrepreneur panel featuring powerful and inspiring local women business owners, Judy Bixler, Pam Wood, Tyvette Brown, Stefanie Defiglia, & Jeanne Mills. In the afternoon, Jolie McShane, will lead us in an interactive Linkedin session, then we will have some fun with Vision Boards led by Kathleen Case. Registrants will have a chance to win a deluxe basket sponsored by Hebron Savings Bank. Also, have some Cupcake fun with a chance to win an exquisite Sapphire Ring from Kuhn’s Jewelers valued at $185.00!! Breakfast, lunch and a snack are provided. Visit https://www.marylandcapital.org/womens-center/womens-conference to register and for the full list of speakers and the agenda for the day. Be sure to inquire about sponsorship and vendor space available.